There’s no shortage of drugs to help you feel less anxious, to dull your aches, help you lose weight and even boost your energy… But not ONE of them treats the underlying problem causing these symptoms. It's believed 80% of the adult population suffers from Adrenal Fatigue, yet 99% of doctors fail to diagnose this common hormonal imbalance responsible for stress, sore joints and depression. The truth is, one simple test can change all this permanently. It's one Dr Golding has been using to bring hundreds of his patients back from the brink of collapse. In just two months, Walter defeated heart disease without a single statin drug! When 66 year old Walter walked into Dr Golding’s office, he was in BIG trouble. He’d been suffering from ischaemic heart disease for more than five years. Yet, despite his doctor’s treatment, which included a stent in his artery and a strict drug regime, Walter was no better off. After a few simple tests, Dr Golding discovered a hormonal deficiency was behind Walter’s heart problems. Just two months on Dr Golding’s natural treatment plan, Walter’s liver function improved dramatically, his cholesterol levels had almost halved and his triglyceride score levelled out in the normal range! All this without prescribing a single statin drug! 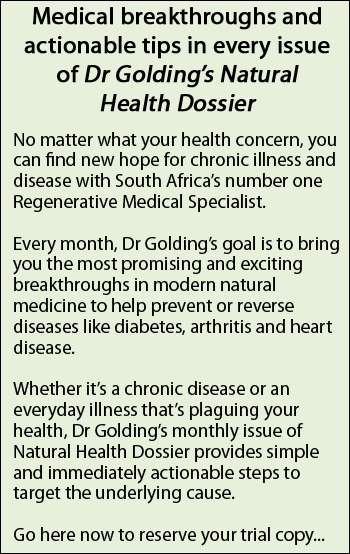 Sign up to Dr Golding's Natural Health Dossier today and get the answers you've been looking for to treat high cholesterol, heart disease, weight issues, diabetes, Alzheimer's and many more chronic and every day illnesses. In it, you’ll get the full benefit of hismy latest research into natural treatments and alternative remedies to fight cancer, Alzheimer’s, diabetes and other ailments and disease. And that’s why your subscription to Dr Golding’s Natural Health Dossier will also include his research report Dr Golding’s Natural Hormone Solution. 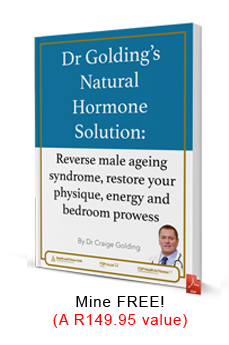 This report discloses how he will help you take control of your hormones even though your environment is changing. You will be privy to everyday chemicals attacking your hormones and how to use natural and alternative remedies to get them back on track. one-month subscription for only R49. 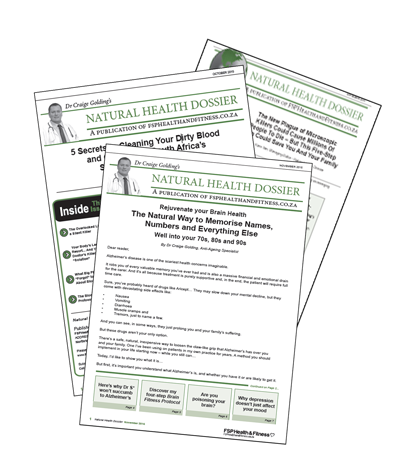 So, for the next 2 months you can browse them all and gain the type of insight and actionable steps necessary to guide you to boost your health and beat disease. 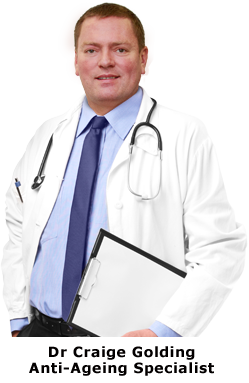 It’s time you control your own health, the natural way – let us help you. Please start my risk free membership now! © 2019 Fsphealth.co.za. All rights reserved.